The Manor Marussia F1 Team announce that it has signed Fabio Leimer as an Official Reserve Driver for the remainder of the 2015 season. 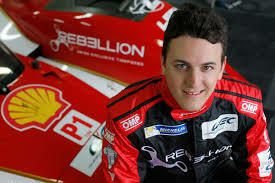 26 year old Fabio, from Rothrist in Switzerland, is the 2013 GP2 Series champion and winner of the 2011 GP2 Final. He is also a former Formula Master series champion, prior to which he competed in Formula Renault 2.0 and Formula BMW ADAC. Fabio will join the team at selected races, working closely with the drivers and engineers to aid the team’s development programme and on standby to deputise for a race driver in the event that they are unable to take part in race weekend activities. To prepare him for the role, the team will be providing Fabio with the opportunity to drive the MR03B in selected Free Practice 1 sessions of the FIA Formula One World Championship.